I say this every year, but man does March Madness ever fly! We’re already down to just four teams – Kentucky plays Wisconsin and Michigan State plays Duke — both games are on Saturday. 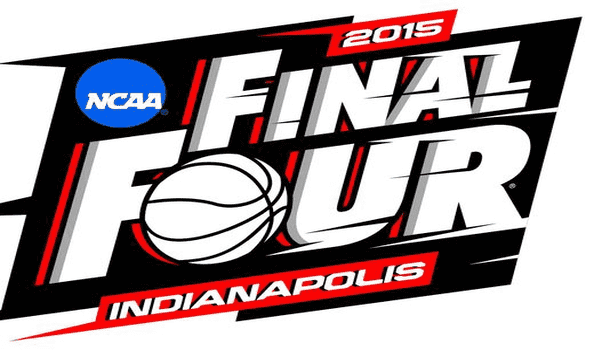 I’m going to preview both games and share my best bets, including my Final Four parlay. While not completely the case – you could argue that this game will come down to whether or not Sam Dekker produces at a high level again. Dekker is averaging 21.8 PPG and 5.5 RPG in the tourney. Wisconsin have had to play some tough teams, including Arizona and UNC. Kentucky haven’t played as tough of competition in the tournament and they just had trouble beating ND (68-66) in the E8 round. It’s true – the Badgers have size and know how to stretch the court effectively. However, have you seen their interior defense? They can’t stop anyone in the paint – let alone the Kentucky Wildcats. Towns and Cauley-Stein will dominate the glass and score plenty of points in the paint. Wisconsin are relying on Dekker and Kaminsky for points in the tourney and they won’t provide enough. Calipari is going to have his guys ready and they’ll be all over Dekker. Hayes has struggled with his shot and no one else on the Badgers have been providing consistent offense. On paper, the Wildcats rank 2nd in points allowed (53.9 PPG) and 28th in points scored (74.6 PPG), while the Badgers rank 12th in points allowed (57.8 PPG) and 47th in points scored (72.8 PPG). Kentucky has a huge edge on the glass too, as they rank 17th in rebounds per game (38.4 RPG) and the Badgers rank 215th (33.4 RPG). Kentucky has too many edges not to bet on them to cover ATS. Last year’s Final Four between these two ended with Kentucky winning by 1 point (74-73), but this year the Wildcats are bigger and better. ND put a scare into Kentucky, but they’ll bounce back. Dating back to 1999, the Blue Devils are 10-1 against the Spartans. The only win MSU have was in a game played in Ann Arbor. Coach K seems to have Izzo’s number when they play each other. Duke have been great on defense, but the offense has been relatively quiet in the tourney. Okafor has really dropped off in production as the games have gotten tougher, which is quite surprising. MSU needed OT to beat Louisville, but here they are in the Final Four again. This team has been great in the tourney and multiple players have stepped up, including Trice, Valentine and Dawson. No player has been better than Trice though, as he has scored 15+ points in every game during March Madness. He’ll need a monster game in order for the Spartans to keep up with Duke. Duke’s averaging 79.5 PPG (5th) on offense, but they allow 64.3 PPG (112th). MSU have been better on defense (63.2 PPG – 86th), but the Spartans are only scoring 71.4 PPG (74th). Will Duke’s offense or Michigan State’s offense prevail in this Final Four match-up? I expect this game to come down to the wire and my money will be on MSU covering the point spread (+5). Get the best parlay odds at BetOnline, as they’re paying +264, slightly better than most other online sportsbooks. We’re in for some great hoops action on Saturday, so make sure you don’t miss out.